For some, writing a business plan is as dull as it gets, for others, it’s first on the list of things to do when starting out on your own. One thing is for sure; having a SMART business plan helps you to focus on delivering results that will keep you in business. Your plan needn’t be an ultra-detailed 100-page tome; it just needs to outline goals that are Specific, Measurable, Attainable, Relevant and Time-bound. You can find literally hundreds of templates and guides for writing your plan but what contractor and consultant-specific things should you be thinking about? When you need to review progress and the overall plan. A business plan should be a living document you refer to and update regularly. That way it keeps pace with your career, aspirations and circumstances. Dream big then think in detail. When you’re thinking for starting out as a contractor, take some time to really think about what you want to get out of the next step in your career and what you need to do to make it happen. Before taking the first steps in becoming a contractor or consultant assess what you need to achieve financially to cover the basics that are important to you. Take a look at the example risks below. Risks are outgoings and timely requirements that are tied to the financial risk. This enables you to understand your break-even point and the cash cushion you need should there be a gap in contracts/earnings. The risks are outgoings in the main but provision for the future around the amount of time off you want, when you want to retire and estimating potential down-time are all important. It is prudent to build up a cash cushion that can cover an unexpected three months’ gap in earnings. That way, if you can’t work for a period of time, you are able to cover the necessities. You have a good idea of what’s out there in terms of opportunities. By working out your market rate and what that means for your break-even point will ensure that you can be realistic about the time you need to put in each month/year to cover the risks in the previous section. You’ll be able to make an informed choice on what contracts to accept and flex the amount of time you need to spend at work based on the rate applied to the contract. Identify your route to market – look at what agencies you want to target or avenues to explore to secure contracts/projects. How are you going to approach them and build solid relationships to ensure a steady pipeline of work? Take a look at our article ‘The value of agencies’ for more information on this. Where do you want to be: in one year, five years, and ten years? What does your life look like running your own business as a contractor or consultant? By focusing on what you want to achieve, you can understand your motivations and translate these into achievable goals. A good rule of thumb is to pick three main goals. These stem from the three areas above and should cover the basics of what you need to achieve. The goals need to be specific and measurable outlining what success looks like and be as detailed as you can as to what that means to you. Earn an average of £x per month, working an average of x days per month/ x months per year. Smaller specific sub-goals can flow from the main goals. This is where detailed planning should form more relevant and achievable goals that can be time-bound and measurable. Review your goals, if they aren’t specific, measurable, achievable, relevant and time-bound rewrite them. The goals you write now aren’t permanent; think about the short to medium-term. That way you can focus on what you need to do now while working towards the bigger picture. The plan is a working document so when you review it, goals can evolve and move with your aspirations. Take each goal and map out how you are going to achieve it. Again make the tasks SMART – that way you can measure your progress. A business plan is a living document. Set review dates to check your progress against the goals and targets you set. This enables you to take action when results slip or the direction of your business isn’t in line with your longer-term goals. When reviewing progress against your goals, look at moving things forward by adding to your goals as key milestones or achievements are reached. New challenges keep us fresh and ensure that your business and career moves forward. Diarise reviews – it may sound obvious, but it’s easy to put reviewing your business plan on the back burner in favour of running the business and becoming engrossed in the contracts. Take time to monitor your performance once a month against the plan. Take a more strategic view once a quarter – for the business development pipeline to keep work coming through, for personal development and for the longer-term strategic direction of your career. Perform a full review every year – take a clean-slate approach each year when reassessing your personal goals and map this against your existing business plan. Regular reviews ensure that your business remains on track and that your business plan evolves with your career aspirations and work-life balance. What is a perfect fit today may feel restrictive next year. For ideas of where contracting could take you, take a look at our ‘what’s your grand plan’ article. Keep your goals SMART – Specific, Measurable, Achievable, Relevant and Time-bound. Keep it simple – three big goals supported by clear targeted actions to get you there. Keep it personal – templates and examples are great but your plan needs to be something you will use and refer to. It needs to be quick to review progress against and simple to update. It needs to outline what you want to get out of working for yourself for the next few months, year and the longer-term. Keep it fresh – review your progress against the plan regularly, embrace change – if it no longer fits; change it. https://www.gov.uk/starting-up-a-business is the Government website that provides help and support tools for new businesses across the UK. It has geographic support to get you started and links to funding options. http://www.virginstartup.org/about/ is the not-for-profit Virgin company for Entrepreneurs. It offers support and advice for start-ups and companies under 1 year old in the UK. The site has tools, tips and advice from a world-leading brand and start-up experts. 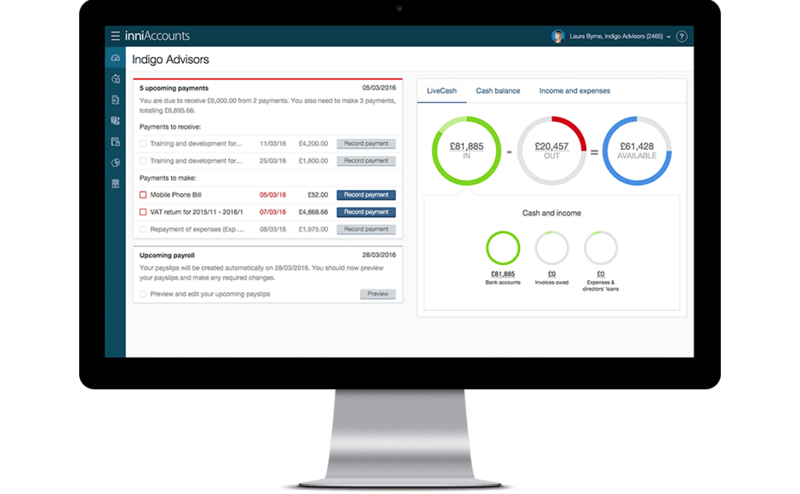 http://www.contractoruk.com/calculators/ Contractor UK is an invaluable website for all contractors; their business calculator section is great for understanding start-up costs to take home pay. http://www.entrepreneur.com/businessplan/index.html is a great site for inspiration and advice from some of the most influential business leaders of our time. It also has practical tips on how to write your business plan. Your business bank’s website. The biggest business banks all have great help tools and articles on their websites. They also have in house experts that can provide help and support to new business customers.